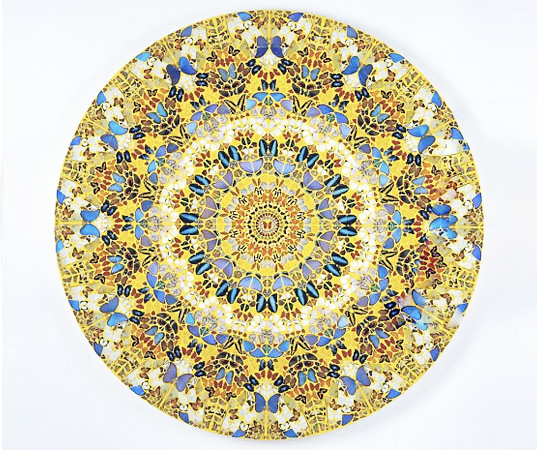 On October 14th, British artist Damien Hirst’s butterfly painting I Am Become Death, Shatterer of Worlds (2006) sold for 2,2 million pounds (3,5 million dollars) at Christie’s auction in London. This may not be such a shocking figure, considering his pickled shark sold for 17 million pounds in 2008. Nonetheless, it’s a piece of art evoking quite disturbing feelings and questions of life and death – not to mention animal rights. The title of Hirst’s (b. 1965) disputed piece, I Am Become Death, Shatterer of Worlds, is a quote taken out of its context from the Hindu scripture Bhagavad Gita, stated again in 1945 by J. Robert Oppenheimer, the ‘father of the atom bomb’, upon sight of the mayhem created by the first test detonation. In relation to this, ‘massacre’, ‘carnage’ and ‘blood spill’ come into mind, but when looking at the work other things reminiscent of gothic church windows and religion come into play. This discourse of life, death and religion is a common denominator to anyone familiar with Hirst’s work, therefore it’s not very surprising to find these themes here. I think I’ve got an obsession with death, but I think it’s like a celebration of life rather than something morbid. You can’t have one without the other. (D. Hirst & G. Burn, On the Way to Work, London, 2001, p. 21). 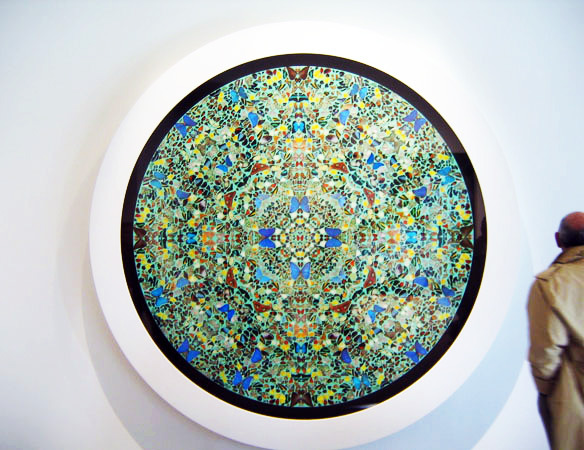 One can easily chose to see it in another way, as in Hirst drawing attention to all the beauty in the world and how we humans continue to pollute and ignore the problems right in front of us. Seeing as Hirst is quite greengaged himself, it’s hard to imagine his motives being foul. The work clearly plays with contrasts and as with many things in life — the beauty undercuts the horror of what we see. Sadly, it’s a buyers world, and as far as art goes, the freakier and more provocative it is – the better and more successful it is likely to become. 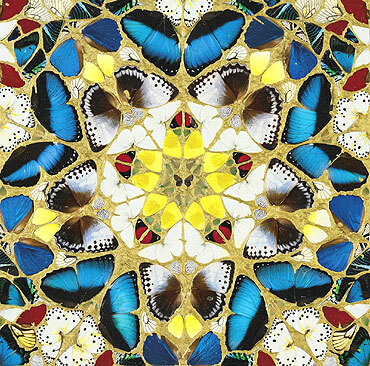 On October 14th, British artist Damien Hirst’s butterfly painting I Am Become Death, Shatterer of Worlds (2006) sold for 2,2 million pounds (3,5 million dollars) at Christie's auction in London. This may not be such a shocking figure, considering his pickled shark sold for 17 million pounds in 2008. Nonetheless, it’s a piece of art evoking quite disturbing feelings and questions of life and death – not to mention animal rights.